Fireplaces, etc. | Darrin Gray Corp. 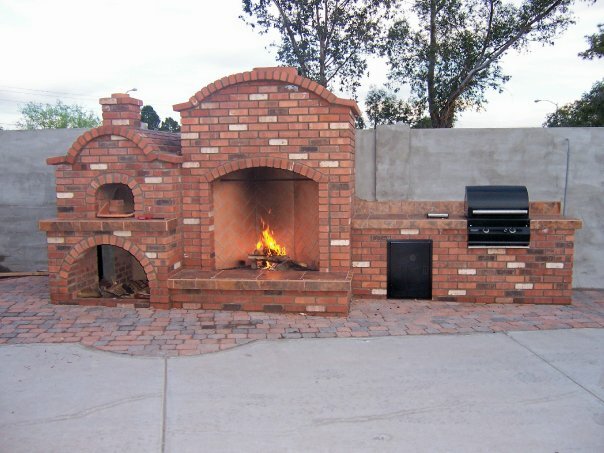 This is our personal BBQ/Outdoor Fireplace/Pizza Oven Designed by Darrin, and built by our employees from the footings, to the pavers to the brick, and even the tile. 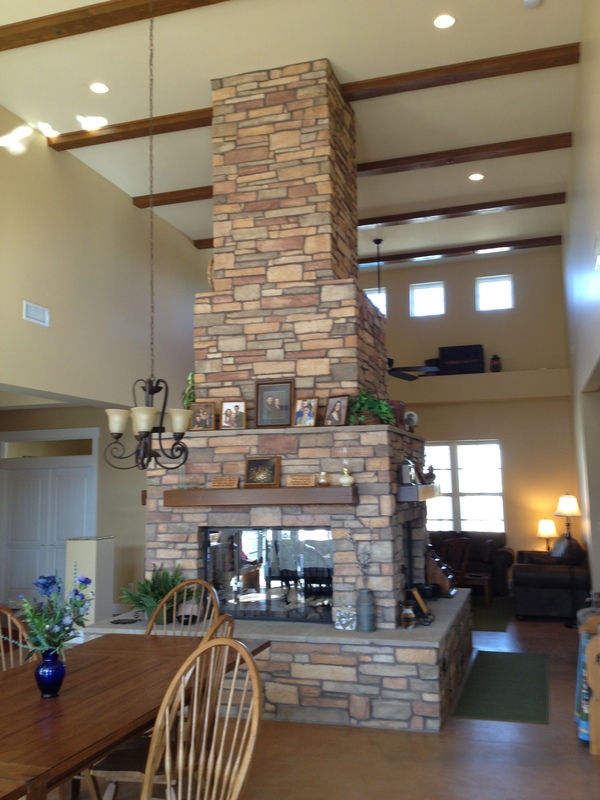 We built this 4 opening tiered fireplace in South Phoenix. It is the Centerpiece of the room and presented several unique engineering and design challenges. Mason, Jason Riggs (red shirt), was definitely up to the task as the chimney worked flawlessly without the need for a forced air fan to help it draw properly. Now this is a Chimney Santa can REALLY come down! 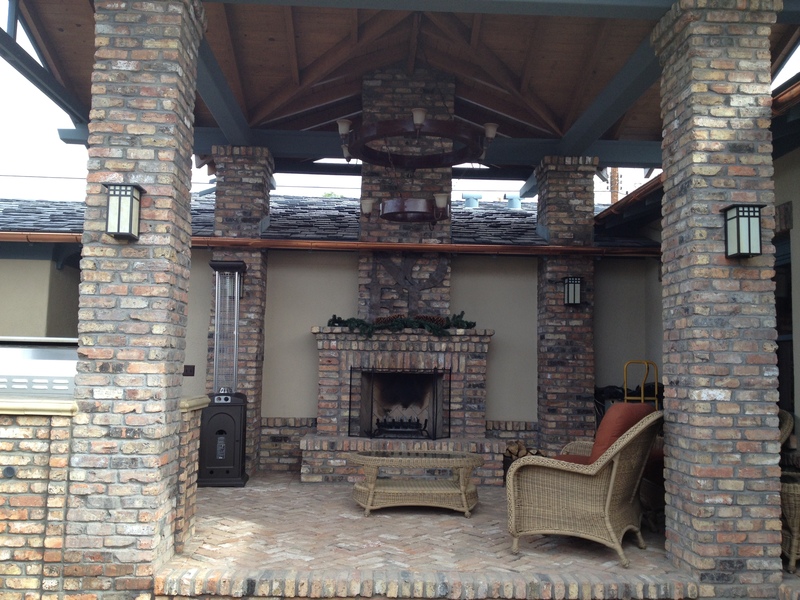 This is a Custom Outdoor Fireplace with a “Herringbone Pattern Firebox” that we did for a Customer in Tucson, AZ. The brick are called “Klinker Brick” and are literally antique brick salvaged from old buildings. Klinker Brick create a wonderful rustic look that will look great for years to come! 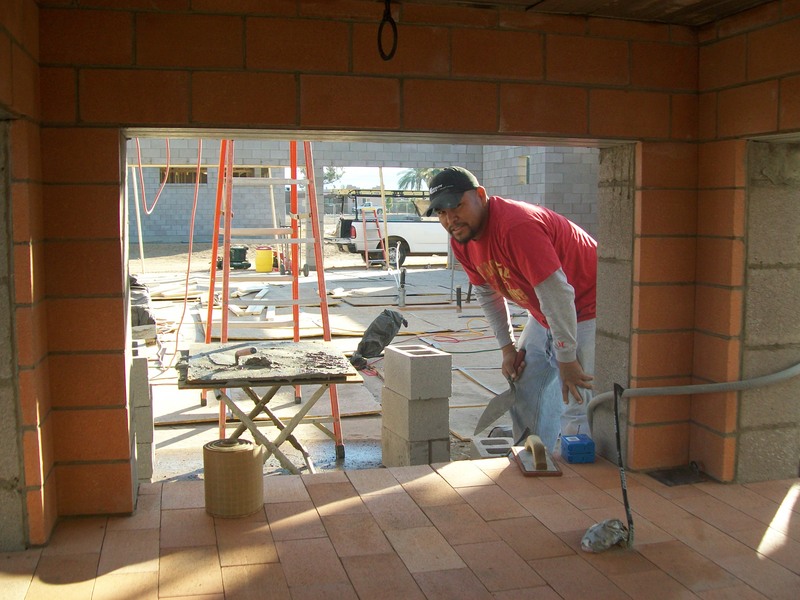 http://www.brick-floor-tile.com/ was our supplier for this project. 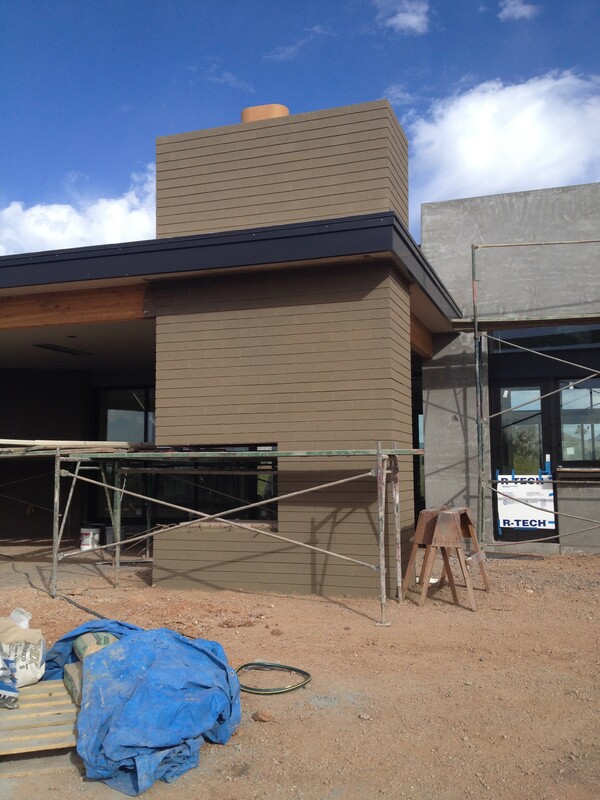 The above photo is of a Cantilevered, raked joint, 3 sided fireplace that we completed in Carefree, Arizona in early 2013. It was designed to be completely open on 3 sides with a monolithic column on the supporting side to hold up the rest of the structure. It presented several challenges in both the design and construction phases. 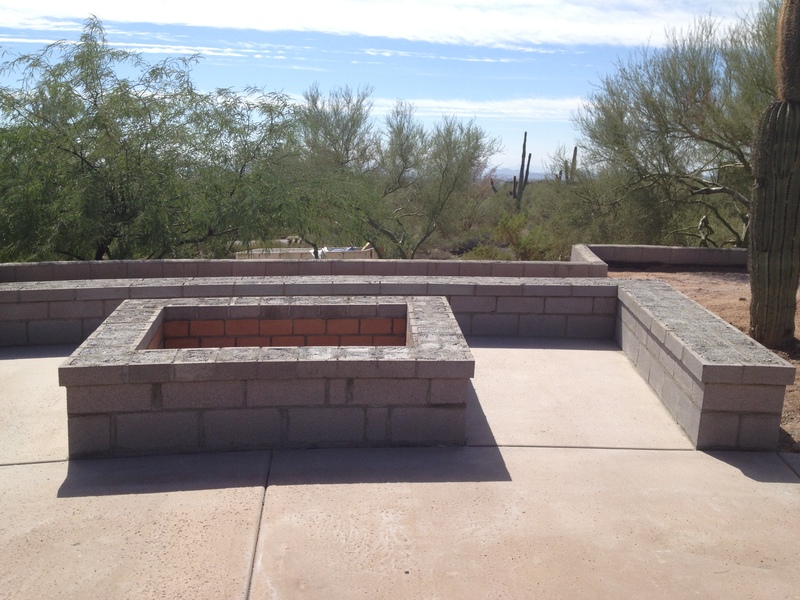 This is an outdoor fire pit with a sit wall that we built in Cave Creek, Arizona. It is now ready to have the stucco and tile applied. 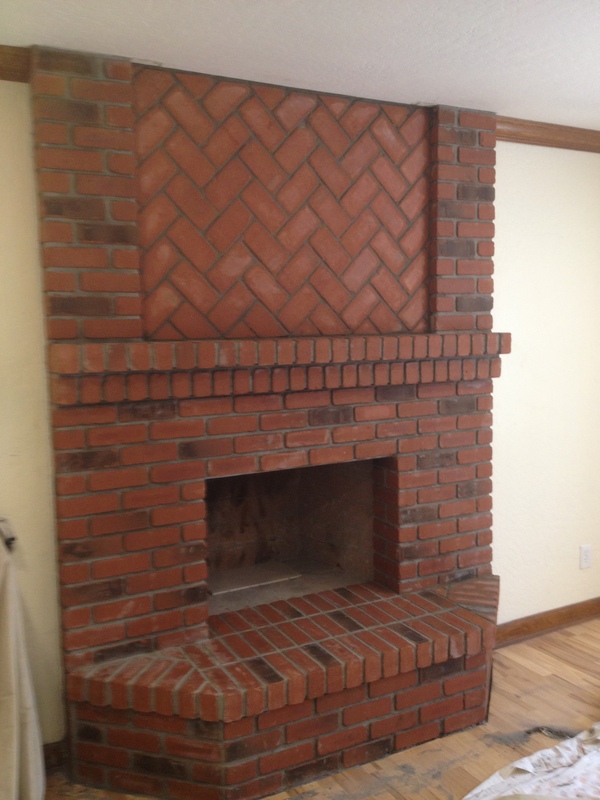 This is a remodel that we did for one of our customers, this fireplace had been covered in a white tile. 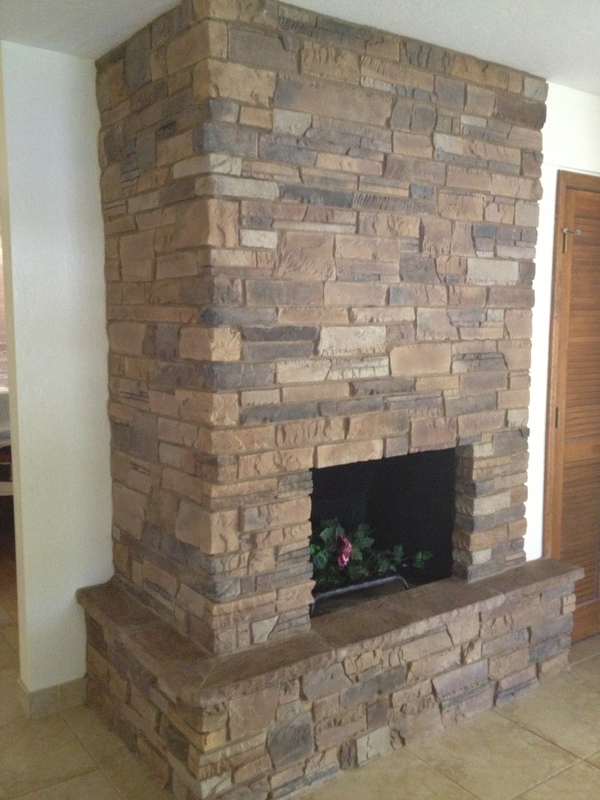 This is another Fireplace that we “Refaced” to give it a more modern appearance. 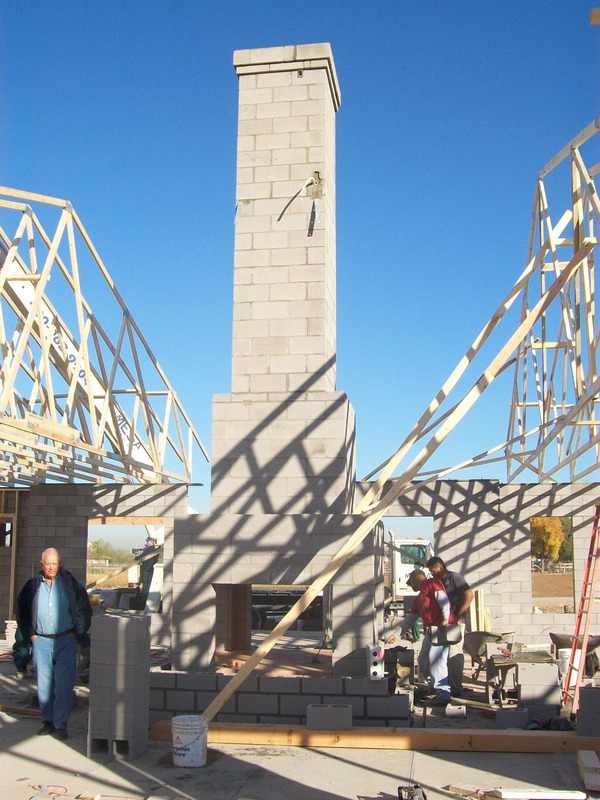 Whether it’s a barbeque, fireplace, brick or stone veneer, a custom home, or a commercial building, The Darrin Gray Corp. can Do It Right the First Time!